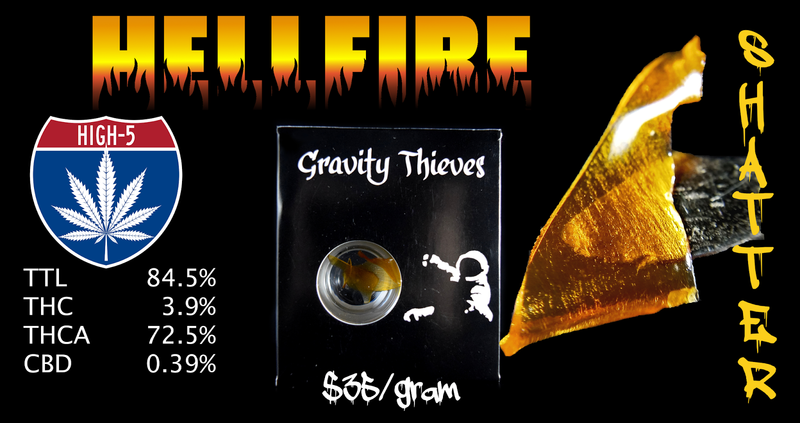 I first met the Gravity Thieves when they were at High 5 Cannabis to share their product and story on Halloweed - we've got some coming content including an episode of #Lampwork filmed that day. Right after Thanksgiving, a couple of the team members James and Bill came by for an awesome session. There was so much beard, as everyone at the table was sporting. They also brought a beautiful Sheldon Black piece, and I felt compelled to shoot it with care. This thing is amazing. However, I encountered a technical issue and our podcast episode was lost. We're going to make that up with another, even better episode in the New Year, and you'll see several reviews of their product. I totally dig being able to see the product through the container, as I mentioned on the first review of their product. They told me how this was a whole different type of starting material. On their current and future batches, they're going to have gorgeous flower to start with - some of the best cannabis on the market. They extract it with the experience of the Gravity Thief himself, Andrew. I can't wait to get him and the rest of the team at the table (and James and Bill will be coming again). So this product has got a crisp aroma. It's got the traditional 'oil' undertones, but on top is a firm citrus tone with a pungency that you can almost feel. The flavor here is clean, there's absolutely no aftertaste. This has huge citrus profile, with a complex variety of lemon, caramel-sweetness, and an aged lemon-curd in the back of the throat. These terpenes are complex. Speaking of terpenes - they brought the report. They also brought terpene reports for their 11% Terpenes Orange Kush, which we'll be reviewing soon. Check this out. The high on this is spinny right away. It has a profound sideways feel to it after this initial spinning calms down. This is a potent type of high, like legendary class on the exhale. Then an uplift kicks in with energy that seems boundless. We were talkative, happy, and really got to a funny sort of part of the night, where each of us was getting settled into the conversation and getting ready to get faded together. Overall, this was a great tasting, potent product. The colors are incredible, with exceptional flavor profile. I can't say enough about the high, it got me fucked up! Profound legs too. Definitely coming back to this brand again and again, and can't wait for the coming batches.